Looking for some spooky happenings for Hallo-weekend? 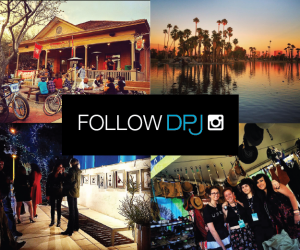 Downtown Phoenix has plenty of creepy experiences in store, from haunted bus rides to zombie walks and much more. Here are a variety of events that will keep you busy the days leading up to Halloween. PoeFest at the San Carlos: Throughout the month of October, PoeFest celebrates Edgar Allen Poe with live action plays of his stories and even a seance. On the 27th, there will be a live performance of “The Masque of the Red Death” and “The Premature Burial” at the Ghost Lounge in the Hotel San Carlos. The plays will begin at 8 p.m.
Costume Party at DeSoto SpOOkeasy: DeSoto Central Market changed their monthly speakeasy from every third Wednesday to every fourth Friday of the month. October’s “spOOkeasy” will be packed with fun activities from live music to dance lessons, and of course, a costume contest! Live music begins at 7 p.m. followed by beginner dance lessons. The costume contest will be judged by the audience, and the winners will receive special prizes. There is no cover to attend, and the event is 21 and up after 9 p.m.
RPM Orchestra presents: The Cabinet of Dr. Caligari: RPM Orchestra provides the score while the classic, silent film “The Cabinet of Dr. Caligari” plays at FilmBar Phoenix. 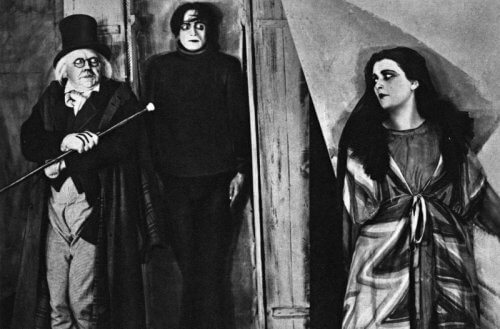 “The Cabinet of Dr. Caligari” is a 1920 German silent horror film and is often considered to be one of the greatest horror films of the silent era. Paired with one of the best live-film score troupes, this performance will be one to remember! Tickets are $12 and can be purchased online or at the theater the night of the show. 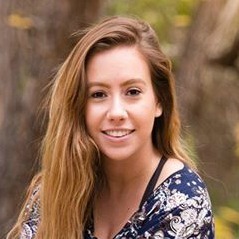 Scorpius Dance Theatre Presents “A Vampire Tale”: Scorpius Dance Theatre will present its annual Halloween-themed production “A Vampire Tale” for its 14th season. There will be shows from October 26 – 28, and November 2 – 4. This year’s performance will include two matinee shows on October 28 and November 4. 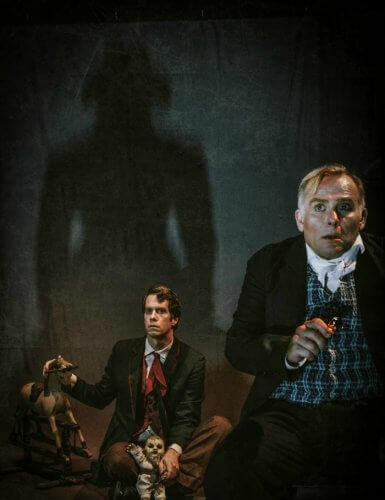 The haunting production will return to its original venue at Phoenix Theatre’s Hardes Theatre. 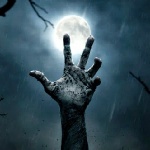 Zombie Walk 9 at Warehouse District: Get ready for the gutsiest event this Hallo-weekend! 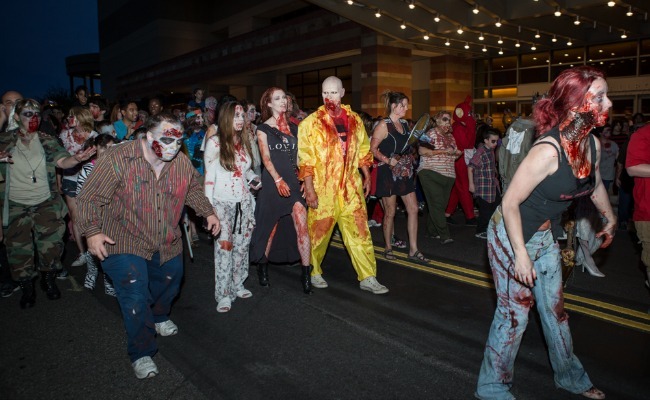 The Zombie Walk returns for its ninth year thanks to the Downtown Phoenix Inc. and the non-profit Arizona Hemophilia Association. There will be live music, food trucks, a costume contest, and a zombification station. The gory fun will begin at 3 p.m. at the Warehouse District at 4th Street and Jackson. Tickets are $10 and kids under 12 are free, and the proceeds will go toward the Arizona Hemophilia Association. 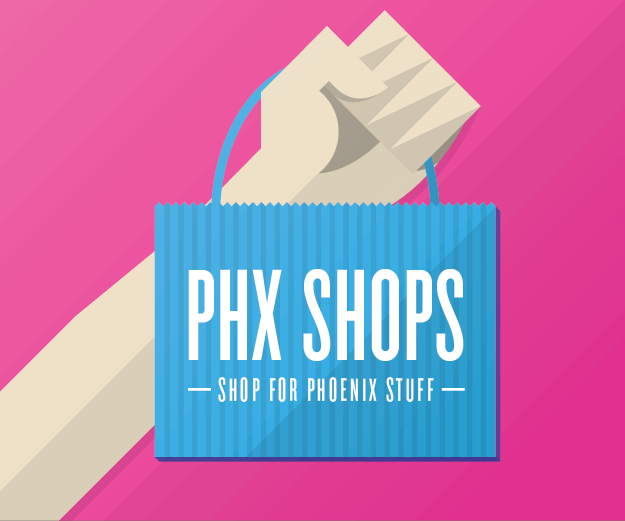 Haunted Phoenix at the Clarendon Hotel: Take a haunted bus tour to explore the spooky sites of Phoenix! Bus tours begin at 1 p.m. and the last tour starts at 5 p.m. 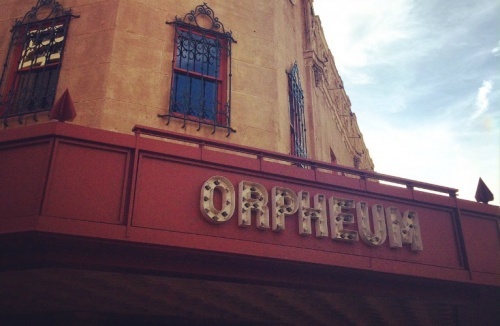 The Haunted bus tour will start at the Clarendon Hotel and you will visit sites with a haunted history like the Orpheum Theater and the Hotel Dan Carlos. The tour will be guided by history raconteur, Marshall Shore, who will be sharing the hidden stories of these sites. Tickets are $30, and the 5 p.m. tour will be a special costume edition. Lustre Stranger Things Halloween Party: Join Lustre on their rooftop bar Saturday night for a Stranger Things themed party! 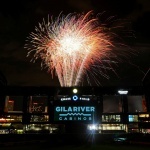 The fun begins at 8 p.m. and proceeds benefit the Valley of the Sun Active 20 – 30 Club. There will be a Stranger costume contest, Stranger Cocktails, photo booth, music, and prizes! Lustre will also be hosting a second Stranger Things Halloween Party Halloween night. Family Friendly Halloween Bash at Lucky Strike: Lucky Strike Phoenix is hosting a family friendly Halloween Party from 12 – 3 p.m. Spend the afternoon bowling in your Halloween costume! This event will also include cookie decorating, a costume contest, a candy bar, and face painting. Kids and adult tickets are sold separately, and the kids ticket includes an hour of arcade games, free soft drinks and an unlimited lunch buffet. The adult tickets include the same as the kids with an added beer or wine drink ticket, and tickets can be bought here. Halloween Party at the Park Bar: The Park Bar will be hosting an epic Halloween Party the 28th at 9 p.m. Come dressed in your best costume, because the winner of their costume contest will win $1000 in cash and prizes! Guests can also enjoy $5 Bloody Marys and Fatal Fireball Cocktails and $5 Cheese “fingers” served with “bloody” marinara. 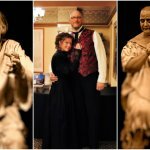 Orpheum Theatre Ghost Tours: Learn about the haunted history of the Orpheum Theatre and the spirits that still haunt the theater. This hour-long tour will allow visitors to explore parts of the theater not normally available to the public, while telling the stories of the spirits that continue to re-visit the theater. All proceeds will go to The Friends of the Orpheum Theatre. Tours begin at 6 p.m., and there will be another Ghost Tour on Halloween night. Halloween Costume Ball: Land of the Misfit Robots! : Join Crescent Ballroom for the biggest Halloween party in Phoenix! Costumes are required for entry, and there will be a costume contest. There will be two stages with plenty of music acts such as Astronomar, Sean Watson, Cormac, DJ Stoneypie, Guild, Deux Yeuz, plus more special guests! This event is 21 and up, and doors open at 8 p.m. Tickets can be bought online or at the door. “The Woman in Black” at The Playhouse on the Park: The Halloween-themed production, “The Woman in Black“, will open Halloween night at The Playhouse on the Park. Based on Susan Hill’s horror novel, the thrilling ghost story tells the tale of two men who try to exorcise the ghost of the Woman in Black. The production is presented by Davisson Entertainment through special arrangement with Samuel French, Inc. The show on Halloween night will start at 8 p.m., and the production will run through November 5. “The Raven” At Rosson House: PoeFest, the month-long celebration of Edgar Allen Poe, wraps up Halloween night with performances of Poe’s popular story “The Raven” at Rosson House. The play will be performed every 20 minutes starting at 7:30 p.m. until 9 p.m. Admission is $10 and includes a tour of the lower level of the Rosson House.